Juki HZL 29Z Sewing Machine $119.00 - FREE SHIPPING! With its attractive and compact design, the Juki HZL 29Z is a simple, entry-level sewing machine that still has lots of great features. This lightweight model is portable yet can handle most sewing jobs with ease. It has all the basic functions and features that any sewist needs to make fun and beautiful projects. It is a simple machine that is capable of amazing results! 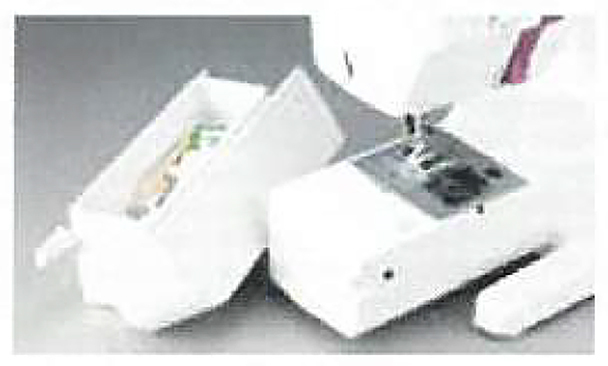 The Juki HZL 29Z comes with an assortment of stitch and feed features to make sewing easy, even for beginners. It offers 22 stitches, including a 4-step buttonhole, all easily chosen with the stitch dial. 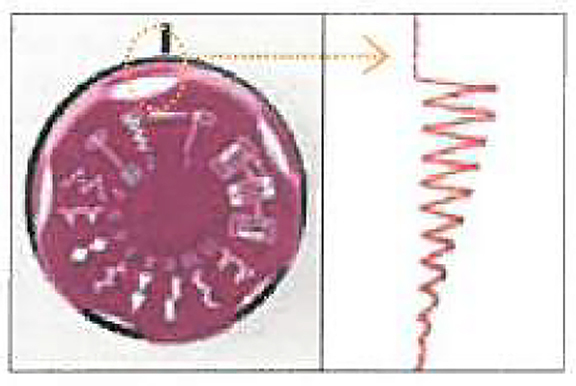 Stitch width and needle position—left or center—are also dial-adjustable. It also includes a reverse feed lever for backstitching. The HZL 29Z has an easy automatic needle threader that works with the push of a button and the twist of a dial so there are no fingers near the needle. It has a drop-in bobbin for easy bobbin loading and a clear cover for watching how much thread is left on the bobbin. While all these standard features are great, it’s the unexpected ones that make this little machine even better. The Juki HZL 29Z includes a 7-point feed dog system just like the best professional machines out there, making it easy to sew fabrics of any weight. It also has a multiple-layer sewing start function to prevent fabric slipping when starting to stitch and free-arm capability by removing the built-in accessory box. All lit up by the built-in LED light over the needle area and the Juki HZL 29Z is a compact machine that can sew like the bigger ones. At only 6 pounds, it may not have hundreds of fancy stitches, but it has the important features that hobby sewists need to do great work! The HZL 29Z comes with a standard, zipper and buttonhole foot, a set of needles and extra bobbins, a foot pedal, and an instruction booklet for easy learning. The Juki HZL 29Z is covered by Juki’s 2-year electrical and motor warranty, 5-year mechanical parts warranty, and 90-days coverage on adjustments and labor. The Amazing Juki HZL 29Z - An Inexpensive Sewing Machine with Some Top of The Line Features! To thread your needle, just lower the lever and turn it back and forth! Preparing the bobbin thread has never been easier. You'll always know just how much bobbin thread you have left. 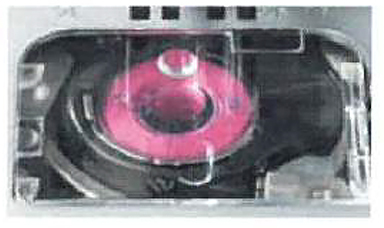 Just look through the transparent bobbin cover. Push the button on the presser foot and you're ready to sew! Brighten up your needle area with the built-in LED light. The light will never heat up, even during your longest sewing sessions. No matter the weight of your fabric, you can rest assured that the 7-point feed dog will feed evenly and consistenly through the machine. Zigzag width and needle positions can be easily adjusted with just the turn of a dial. Need to sew cuffs or pant legs? Remove the accessory table and you're ready to go! First, I'm not a sewing pro in the sense of being a quilter, clothes maker, or DIY maven. In fact, I'm sort of a stranger in most sewing stores as I'm a guy. Don't let that fool you though. I have over 10 years of commercial embroidery experience running thousands of shirts, hats, bags and more through machines. I've owned Melco and Tajima machines over the years ranging from a 12 head, 6 needle machine, to 6 networked 16 needle machines. I currently own a two head and single head Tajima 9 needle machine. Embroidery requires adjustment for the fabric type and dealing with pull compensation and run speed. We run designs anywhere from 300 stitches per minute up to 1500 stitches per minute. My current machines are happiest between 300 and 650 stitches per minute. Designs can range up to 50,000 stitches. I also have owned a Sailrite walking foot machine and built bimini covers and changed a roller furling cover on my sail for a 27 foot sailboat. Sewing canvas and sails is a completely different zoo than sewing fabric. I love my Tajima machines which are essentially Japanese computerized sewing machines. I despised my Sailrite and found it to be an imprecise piece of Taiwanese junk that was finicky and not a particularly nice machine to work with. I had a few sewing projects and wanted to branch out to making embroidered pillows with crafty designs. I needed to make some curtains for the house and I have an RV that is going to need lots of curtains and some upholstery projects. Seemed like the perfect excuse to buy a sewing machine. Juki is the gold standard in industrial machines. I was a little apprehensive in reading the reviews on here. Some folks had some bad experiences. I've had bad experiences with a sewing machine in the past (sailrite) so I was concerned. My friends in the embroidery biz reassured me that Juki was a good machine. For the price, I figured what have I got to lose? It's really inexpensive and I wanted something small. I was a little put off by the pink flowery stuff on the machine. It really would be great for a young lady. It's kind of grown on me as it's been sitting there. The machine was well packed and showed up unscathed by United Package Smashers. It was surprisingly complete and came with bobbins, a seam ripper, and several other accessories. The foot pedal is a little plasticy feeling, but the machine seems solid and lightweight. It's not a 80 pound industrial fabric muncher.... but that's fine. Most of us at home want something we can move without a team lift! I made a trip to my local fabric superstore and bought an assortment of fabric. I bought a heavy canvas type material that really would be at home on a sofa or chair cushion. It was in the bargain bin and I figured I would use it for testing and to make some sample pillows. It's a solid fabric but a bit tough to cut with my pinking shears. I put a couple of pieces together and proceeded to start sewing. The machine was smooth, reasonably quiet, and fed well. All sewing machines make noise. I chose a mechanical machine because I just need it to sew. I didn't want to lean on my IT background to program the machine. I also think it will be more reliable. Setting up the thread feed was easy! It's numbered and a guide is printed right on it. Threading 72 threadpaths on a commercial embroidery machine is much more tedious. The machine has a nice threading device on it, but honestly I find just putting on my reading glasses makes it so much easier to thread needles. Wish I'd realized that years ago! All in all this is a great basic sewing machine and should serve the average user well. At the price point it's offered at you can hardly go wrong. I plan to pick up some accessories for it and a serger to handle seaming. I'm actually excited about having a solid little sewing machine and seeing all sorts of things I can do. :) For years I've bought curtains, bags, covers, and other fabric things. It's difficult to find what I want and I always have to settle. I feel like now I can just make what I want and add embellishment to it if I want to embroider it. It's way easier to embroider cut pieces of fabric before it's sewn together. My ignorance got me off to a rough start - this looks like a great machine for the price! 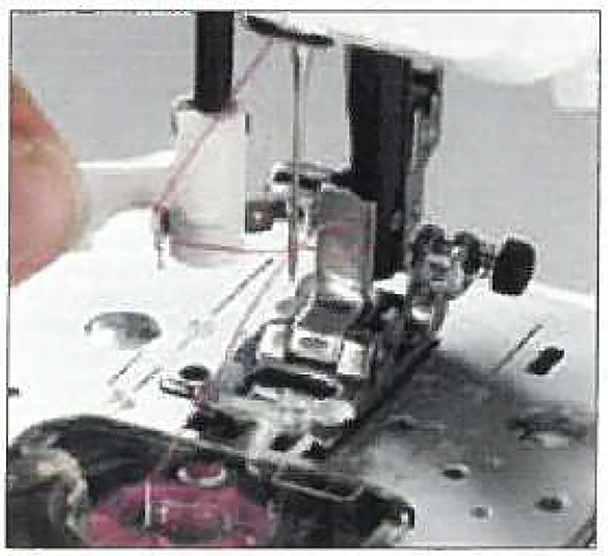 After viewing the JUKI DVD that came with my JUKI HZL-29Z sewing machine, I wound a bobbin and set up the machine. I opted to use the vertical spool holder and successfully wound a bobbin. (As this was quite unlike the S machine I had for three decades, my learning curve was slow. I neglected to insert and wind the bobbin thread properly before allowing the upper thread to pick up the lower thread from the bobbin. That resulted in unsatisfactory tension in my test run of the machine. 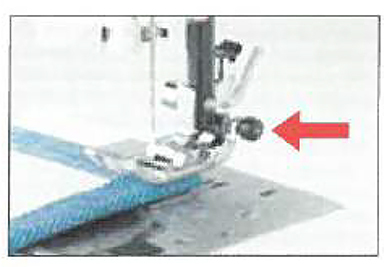 After reading JUKI threads onthe internet, I learned one sewer had inserted the bobbin "upside down." 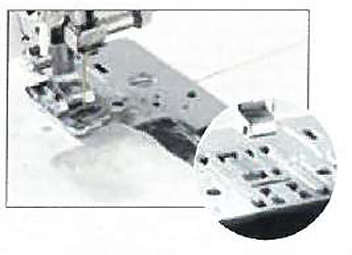 Reading that, I flipped my bobbin, discovered the threading image on the base of the sewing surface, and presto! The JUKI sewed with the proper tension at a setting of 5. The JUKI is quiet, replacing an old S machine with replacement gears that necessitated wearing hearing protection. So far, I'm quite pleased with the lightweight JUKI and the simple sewing I am doing. With a four-year warranty and a free one year service from the sewing machine shop at which I made my purchase, I'm confident this has been a good purchase for me. Addendum: I've been using the JUKI now for three weeks on several projects. 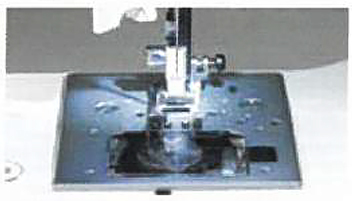 While I'm pleased with its basic sewing functions, I find it difficult to change the needle and to use the automatic threaded; the space between the sewing surface and the lower part of the upper arm measures 2 & 5/8 inches high - not enough space for my small hand to easily maneuver to perform basic functions like changing the needle. I'm ambidextrous, so it's possible I'm doing some of these things like a left-handed. That doesn't discount that the work area is crowded, however.